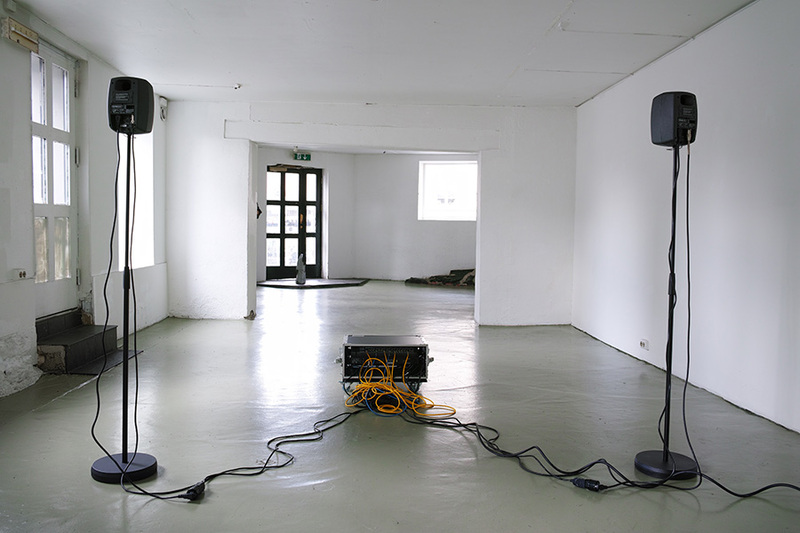 Drawn from historically shared source material and files from audio archives, the work consists of an extended sound piece divided into three parts, exploring two non-related events based on the political and poetic relevance of the archive. In 1960 the Italian magazine 'Le Vie Nuove' releases a sound file, randomly recorded by a pedestrian intending to record an upcoming demonstration in Reggio Emilia, Italy. 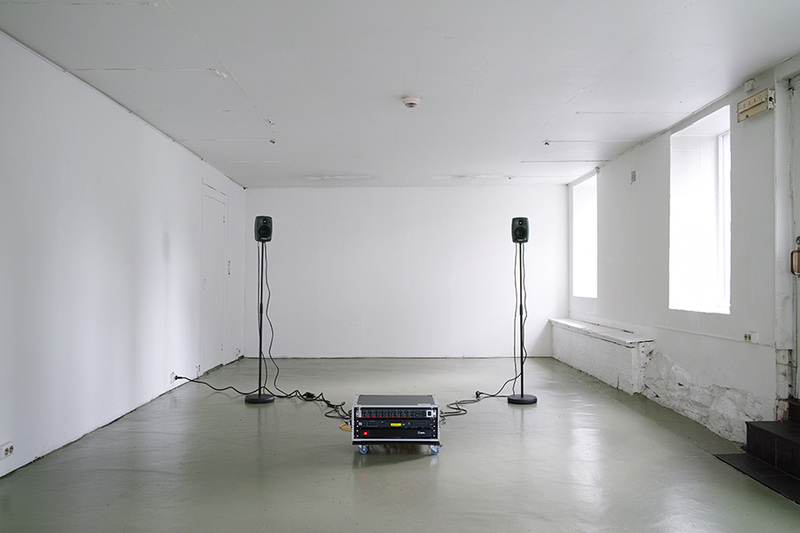 As a score of abstract noise sequences, the audio file is a sonic backdrop of street riots, police clashing, shots of tear gas and firearms on protesters - the police operation called 'Hippocampus'. Released with a contributed text of Pier Paolo Pasolini, the record was meant to be broadcast, spread and preserved in order to enlighten social memory, showing the vulnerability of a young generation at the moment they resisted, defended, and withdrew. 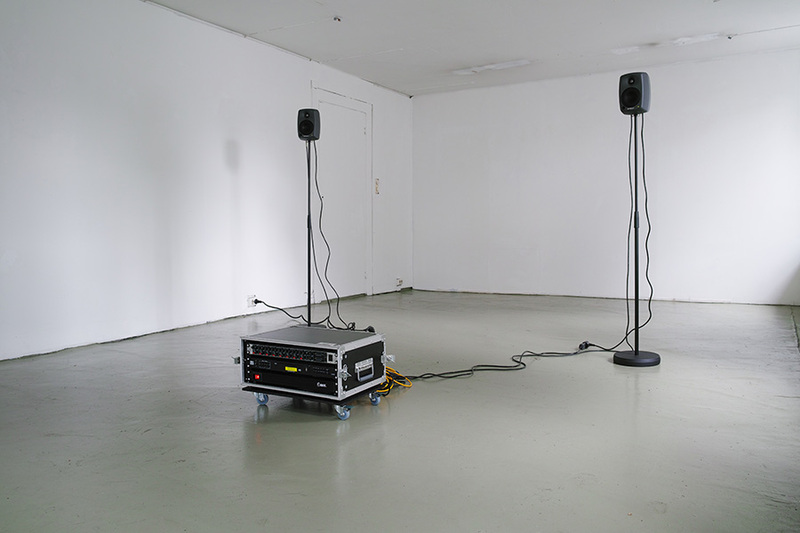 The sound piece contains domestic field recordings, pitched-down tunes, abrasive audio textures and vocals from teen aspiring musicians - youths dealing with music - some of them recently died by exploratory drug use or shot by police on the outskirts of "bad" neighborhoods. Many of those shootings were caught on tape. 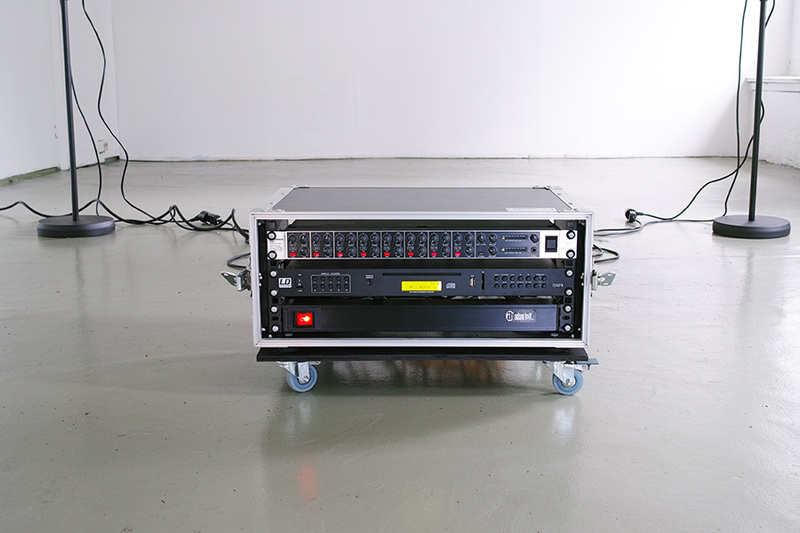 By sampling and stretching the original tracks, each sample is altered, blended, and distorted trough divergent sonic juxtapositions and live effects. The work includes a spoken word piece downloaded from Assata Shakur online audio archive. In the recorded file Assata Shakur, a former member of the Black Panther Party, describes the way she got shot in the back in 1973 by Trooper Harper, after complying with his demands of raising her arms. The audio file is free for download and redistribution on Assata Shakur's webpage. Voices and sound samples from Italian youth from Napoli, Michael Brown a.k.a. Big'Mike, Tyrone Harris a.k.a. Ty Glocks, Lil Donkey Cartel, and Assata Shakur. Living in Cuba, Assata Shakur has been classified as a terrorist and put on the terrorism watch list. On Aug. 9, 2014, a teenager named Michael Brown was shot in Ferguson, Missouri by officer Darren Wilson. Apparently after stealing a box of cheap cigarillos. The shooting of Michael Brown rose in a massive uprising in Ferguson. One year later, during a big uprising memorial to Michael Brown, another teenager, and friend of Michael, Tyron Harris, was shot during the violent street rioting in Ferguson. Michael Brown aka Big'Mike and Tyrone Harris aka Ty Glocks were both aspiring rappers. In that same year, in South Italy, police shot Davide Bifolco, a teenager from the periphery of Napoli. Davide was driving a scooter with two other friends. After a long pursuit, as the boys refused to stop when ordered to, a policeman opened fire. 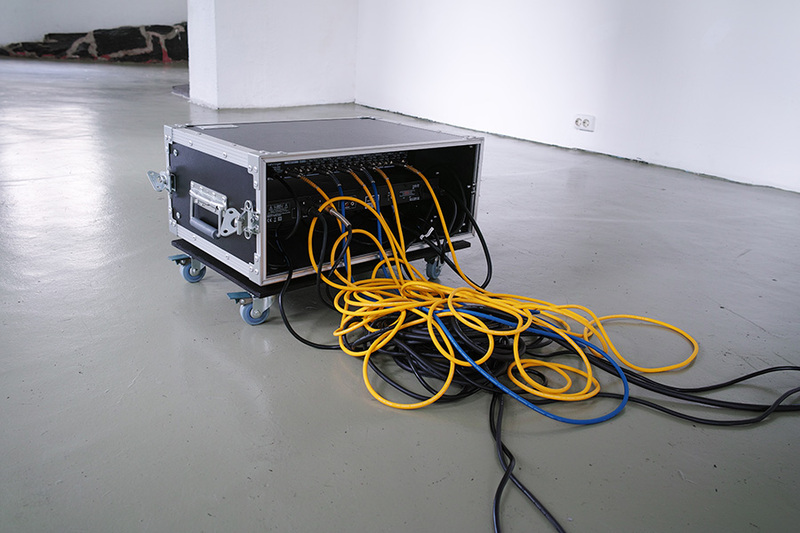 The exhibition is supported by Norske Billedkunstnere (NBK), Norway. 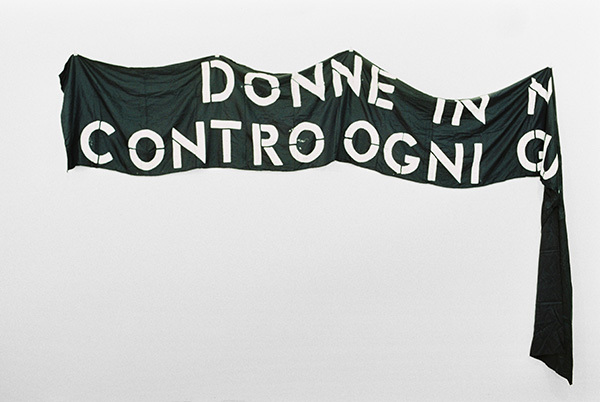 Donne in nero contro ogni guerra (Woman in black against all wars), 1980’s banner piece photograph. Banner photographed by Simona Barbera in April 2016, kindly lent by The Archive for Social Movements, Genoa. (Associazione per un Archivio dei movimenti, Genova, Italy). 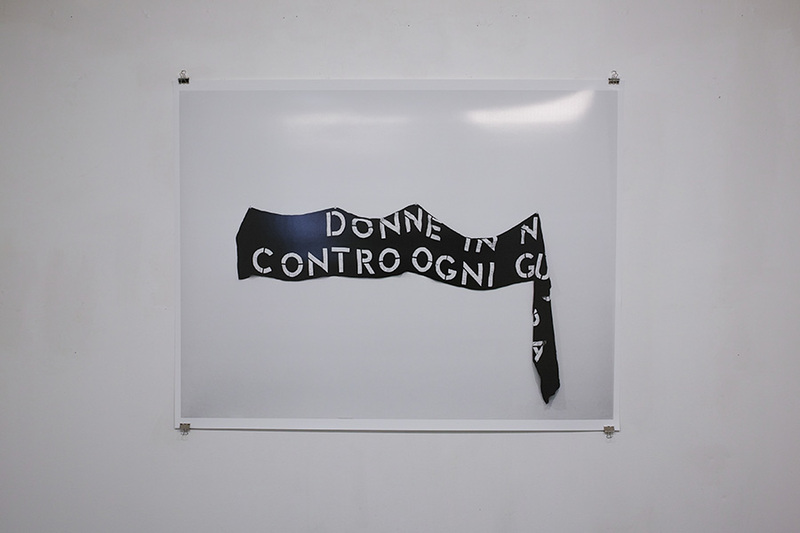 The banner belonged to a group of Italian women activists called Donne in nero – part of the international movement women in black – actively opposed to war, militarism and other forms of violence. 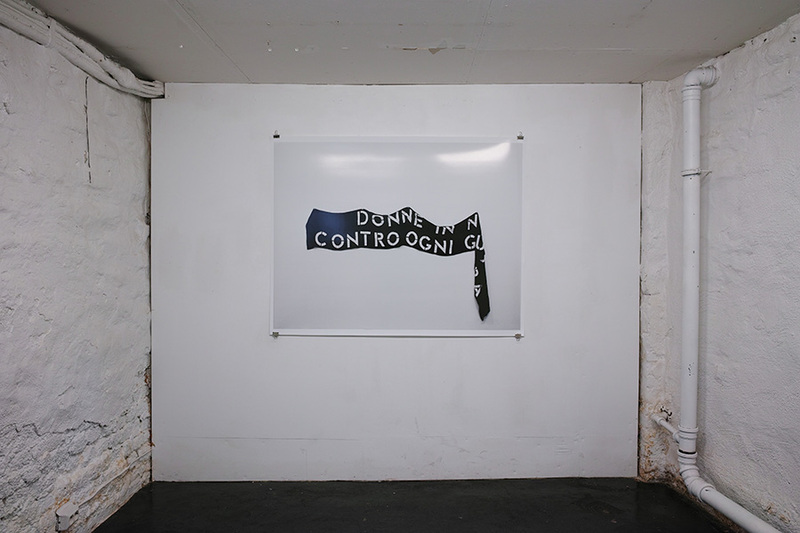 After several demonstrations, where the banner almost got destroyed during confrontations with the police, the textile piece is now archived and preserved at ‘The Archive for Social Movements’ of Genoa, Italy, (Associazione per un Archivio dei movimenti), part of an important history of social rebellion. The international movement started in the 80’s in Jerusalem to protest against the Israeli occupation of the West Bank and Gaza, and is still active today in different parts of the world.